Successful and famous people are easy to recognize. They are trend-setters who have their own voice and constantly work on their public image. Successful brands are a bit like famous people — we like them, we try to imitate them and we can tell them apart because they have a personality that is impossible to forget. Brand voice is part of your app’s brand identity, and developing that voice is certainly worth the investment of time and effort. Developing your app’s brand voice can be tricky, and the result will very much depend on your particular app and your target audience. A brand’s voice defines the tone of in-app communication and messages that your app shares with your users. It also influences your content marketing strategy, be it a blog, a website or a social media campaign. Your brand’s voice makes your company instantly recognizable. There are a few different ways to develop a brand voice that have proven successful for many brands. Let’s walk through them. When creating design for your app, think about creating a persona to represent the app or be your company’s mascot. A persona can be a person or a funny animal or even something inanimate (recall the friendly MS Office paper clip). Imagine your app as a human being. What personality traits does it have? Is it fun and extraverted, or serious and professional? What does it sound like when it’s speaking? To organize your thoughts, you can use this worksheet. With this type of worksheet it is much easier to define what your brand is and what it is not. You can customize in-app communication based on actual data about your users. The secret to effective in-app communication is adopting a tone that feels natural to your audience. If you target a specific group of professionals, don’t be afraid to use some professional jargon. Your choice of words and your general tone of writing will vary greatly depending on who you’re targeting. We see a brand as a name, term, design, symbol, or any other feature that identifies you and sets you apart from your competitors. Brand books come in all shapes and sizes and include information for designers, copywriters and social media specialists. Brand books show how a brand’s logo has evolved over time, but they also instruct employees on how to maintain brand continuity across multiple products or devices so that your brand is always recognised. Here’s Yalantis’s brand bookas an example. Now that we’ve discussed a bit of theory, let’s take a look at some real-world examples. How do MailChimp, HipMunk and Vocabulary.com deal with in-app communication? 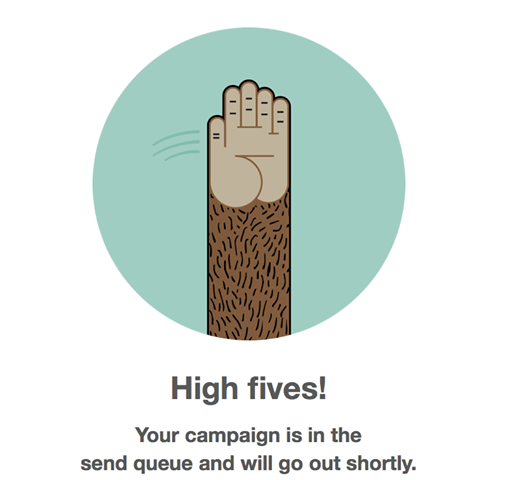 Founded in 2001, MailChimp provides email marketing services. They’re a great example of a brand that knows their voice and knows how to use it in the most efficient way. Their styleguide clearly defines what tone of voice all communication should have: “fun but not silly,” “smart but not cocky,” “expert but not bossy.” They have a mascot – a winky chimp named Freddie. He’s amusing and friendly and appears in most of their messages – unless the message is serious, in which case they use their script logo. Hipmunk is a consumer-oriented online travel company headquartered in San Francisco, California. 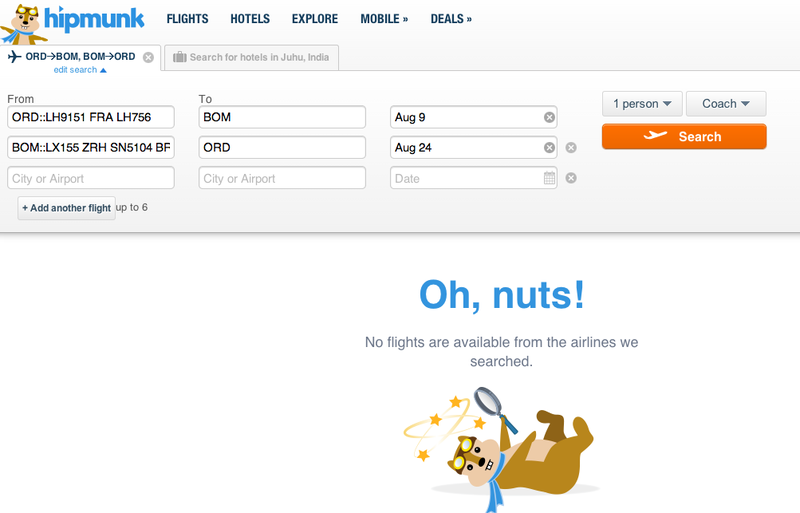 Hipmunk compares rates across top travel sites to find the best hotel and flight deals for its users. Their mascot is a cheerful chipmunk that appears on nearly all screens and provides information in a funny way. The Hipmunk app is full of puns that play with words associated with chipmunks, small, cute and agile animals. In-app communication is mostly built around the company's mascot. Brand voice can be employed for academic purposes just as much as for entertainment purposes. Vocabulary.com is an educational resource that started in 2011; it analyzes books, journals and newspapers, pulling out the most essential English vocabulary words and helping you remember them by gamifying the learning process. Users compete with friends and strangers, earn points and badges and learn new vocabulary in an exciting way. As an educational platform that aims to create a friendly environment that encourages people to study, Vocabulary.com certainly picked the right tone for communicating with their users. The voice of their brand is friendly, funny and encouraging – just like a good teacher! Their app helps you study with motivational phrases and compliments you on each correct answer. Vocabulary.com is also known for their belief that learning should be enjoyable, which is why they provide smart and funny explanations for words so that students will remember them better. Vocabulary.com is a great example of a product that found a healthy balance between providing real educational value and gamification. These three brands are memorable because they have unique communication strategies. They form emotional bonds with their customers, leading to positive brand associations and returning users. Consistent: they deliver the same message with the same tone across various platforms. Relevant and understandable to their customer: they talk about things that matter for their customers in a way that appeals to their customers. Straightforward: they avoid buzzwords and unnecessary professional jargon. If you want to find the voice and tone for your brand, you should start by analyzing your company’s values. By clearly defining what matters to your company, you will find the starting point for developing your brand’s unique voice. A brand’s voice should balance tradition with evolution to make sure that your message stays relevant. Change it as your company changes. Look to your target audience for inspiration about your brand’s unique character. Checking out how they communicate on social media can offer valuable insights. Make sure your writers and social media managers understand your brand voice and maintain that voice in all communications.